Maggie joined the USAA team in June 2003 during her husband’s final tour in the US Marine Corps before his military retirement. While active, she endured 9 deployments and 6 PCS moves which gave her unique understanding of the military lifestyle and its challenges. In her current role, she utilizes her 26+ year military spouse experience to advocate for the military community at large as well as lead USAA’s VETNet Employee Resource Group (ERG) internally. 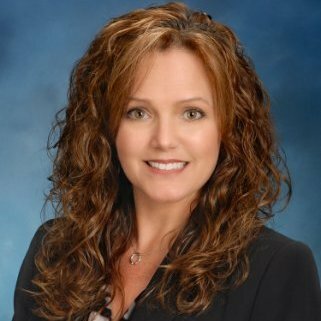 Maggie has extensive experience managing USAA’s Military Affairs advocacy relationship with a number of key external organizations including Blue Star Families, National Military Spouse Network (NMSN), U.S. Chamber Hiring our Heroes, Phroogal: Road to Financial Wellness and Heroes at Home. Prior to joining Military Affairs, Maggie managed USAA’s Lobby Operations in the Federal Savings Bank; leading a face to face team of highly skilled deposit and insurance representatives, serving over 50k members a month between Personal Banking, Teller Operations and Wealth Management. Prior to joining USAA, Maggie was an entrepreneur, created a company called Details-Details facilitating on time mortgage closings, was also a Professional Development Trainer for Marine Corps Community Services and volunteered hundreds of hours for the Navy Marine Corps Relief Society. Maggie holds a BA in Communications, has attained numerous training certificates, maintains her P&C License and holds an RCC Coaching Designation. In her spare time, Maggie enjoys visiting her son Michael, a recent graduate of the United States Merchant Marine Academy in New York as well as her daughter Courtney a Junior at Texas Tech University. She would also eventually like to publish a series of books on surviving and thriving as a military spouse using her experience to educate and comfort others.